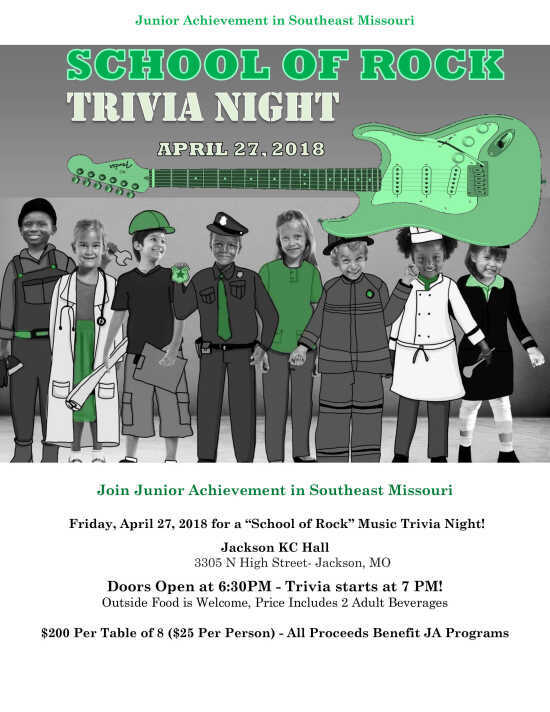 Junior Achievement will hold a "School of Rock" trivia night April 27. Doors open at 6:30 p.m. and trivia begins at 7 at the Jackson Knights of Columbus Hall, 3305 N. High St. in Jackson. Price is $200 per table of 8 ($25 per person). Outside food is welcome. Price includes two adult beverages. 3305 N. High St., Jackson, Mo.